Unresolved conflict is time consuming and limits the productivity of everyone involved. 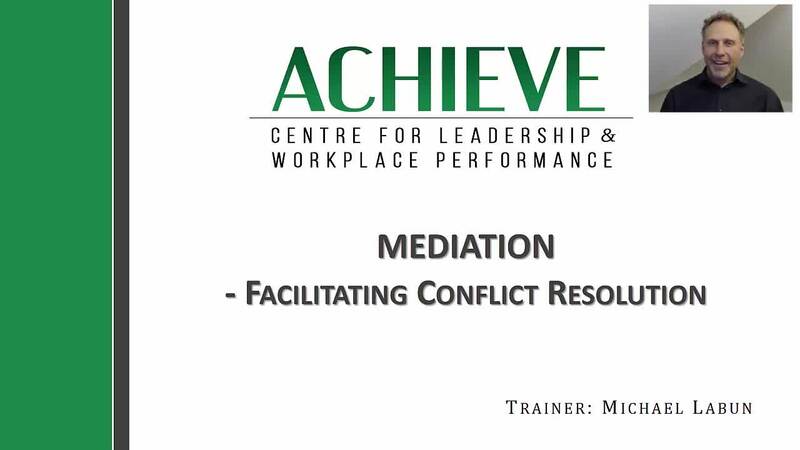 Mediation is an essential skill for anyone who works in situations where they are responsible for helping others with interpersonal tension. When two people can’t resolve a conflict on their own, a third party may be needed to facilitate a conversation to help resolve the conflict. This webinar provides insights for working with people in conflict to clarify misunderstandings, identify interests, and work towards options for resolving the conflict.